Summit Garage Door Repair is your number one garage door expert in Seattle Washington and the surrounding areas. 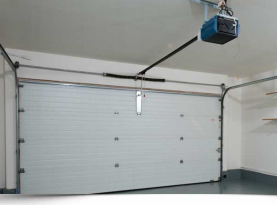 Our capable technicians can repair all kinds of residential garage doors promptly. Our comprehensive list of services includes tune-ups, garage door springs, panel replacement, garage door openers, crashed door services, weather seals and much more. Family owned and operated, the experienced professionals at Summit Garage Door Repair are licensed and insured for your complete customer satisfaction and peace of mind. At Summit Garage Door Repair, our highly skilled repair technicians take pride in providing each and every customer with high quality garage door repair services. We understand that garage repairs can be needed at the most inopportune times so we are available 24 hours a day, 7 days a week for your convenience. Our friendly staff members are courteous, efficient and professional. Our skilled garage door repair specialists can repair garage door wires, cables, damaged or destroyed sprockets and twisted garage door tracks quickly and efficiently to get your garage door fully operational in next to no time. Are you experiencing strange or loud noises coming from your garage door? 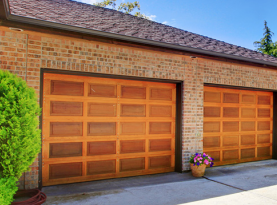 Does your garage door appear to be much slower than usual or is it bouncing along the rail? 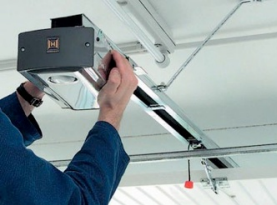 Our highly trained garage door repair technicians will provide your garage door with a complete tune-up including making sure your garage door components are properly maintained. Our tune-up & maintenance services can save you a lot of money on future repair costs. 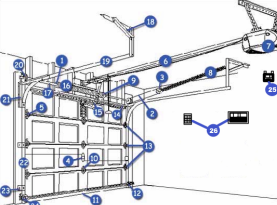 At Summit Garage Door Repairs our knowledgeable technicians work with the highest quality torsion and extension springs in the garage door industry. Our professional garage door spring repair service is designed to get your garage door functioning like a brand new one at a fraction of the cost of replacement. 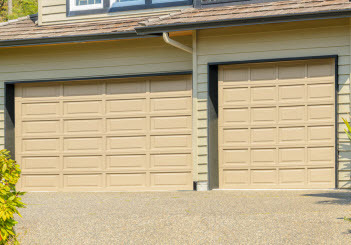 Is your garage door panel damaged or broken? Our highly trained technicians are the experts when it comes to repairing or replacing damaged garage door panels. Our garage door repair specialists can repair and replace almost every brand, make and model of door openers available. Accessories including keypads and laser eyes are also available. Is your garage door coming off of its tracks? Our experienced garage door repair specialists can repair your garage door and get it operating the way it should. Our qualified garage door repair technicians will arrive at your home with all the tools and replacement parts necessary to professionally repair your door promptly and efficiently. Weather seals are designed to keep dirt, rain and insects out of your garage. Over time your existing weather seals will break down allowing moisture to penetrate your garage and cause potential damage. Stop the cycle today by making use of our weather seal replacement service. Contact the experts at Summit Garage Door Repair today and ask us how we can help you with all of garage repair needs.